A Palestinian human rights center concerned in prisoners' issues accused the occupation authorities of trading with organs of a Palestinian martyr who passed away in Ashkelon prison in 1980.Palestinian Prisoners Society (PPS) said in a press statement on Tuesday that Israel, after 30 years, still denies the existence of the body of Palestinian martyr Anas Dawla. It asserted that Dawla had been killed in the jails and that the Israeli authorities have been hiding his body and did not even allow burying him. PPS has also revealed its belief that the Israeli side has been selling the organs of the martyr. The occupation Supreme Court has issued a decision providing for rejecting the request to hand over Dawla's body to his family, under the pretext that it does not exist. The PPS considers this procedure as a crime. The Palestinian human rights society demanded the formation of an international commission to investigate the series of crimes committed by the Israeli authorities against Palestinian prisoners, and to prosecute the Israeli leaders responsible for those crimes. For its part, Palestinian Foundation of Health Work Committees urged for an international inquiry to uncover the circumstances of the death of captive Dawla in Ashkelon detention center, in light of recently raised investigations and media reports stating that the occupation soldiers and other Israeli bodies have been conducting experiments on the Palestinian martyrs' bodies and selling their organs. The Foundation called for intensifying Palestinian and international efforts to free all the prisoners from Israeli jails, and to release the 240 bodies of Palestinian and Arab martyrs that are still held by the occupation authorities. The autopsy report, which was conducted on Sunday on the body of the prisoner Arafat Jaradat, proved that he was subjected to severe torture, and that he did not die of a heart attack, as claimed by the Israeli authorities. The report confirmed that Arafat has sustained his injuries recently in the period of his detention and interrogation. The Palestinian doctor who participated in the autopsy of the Arafat's body, that took place in the Israeli Abu Kabir Institute, stated that the autopsy showed bruises and signs of torture on the back of the martyr on the right side, in addition to signs of torture on the chest and visible injuries down the neck and shoulder. The report stressed that the autopsy showed that the heart of the martyr was sound, and that there are no signs of a heart attack, as the occupation claimed after the death of the young man. Meanwhile; violent clashes broke out on Sunday between hundreds of citizens and the occupation forces in different parts of Ramallah, in the center of the West Bank. Hundreds of citizens gathered near Ofer prison in the west of Ramallah and staged a march to protest the death of prisoner Arafat Jaradat, eyewitnesses told PIC. The occupation forces suppressed the march, which led to the outbreak of violent clashes during which a number of Palestinian citizens suffered suffocation and minor wounds as the Israeli soldiers fired metal bullets and tear gas grenades. Witnesses reported that similar clashes erupted near the Atara military checkpoint, north of Ramallah, after young people organized marches towards the checkpoint in protest at the killing of captive Jaradat. The soldiers fired tear gas grenades and metal bullets at the youths who responded by throwing stones, empty bottles and Molotov cocktails. Local sources said that violent confrontations have also broken out near the Qalandiya checkpoint in the south, where a number of citizens suffered from suffocation and the road leading to Jerusalem has been closed. Clashes and confrontations were also renewed in several areas in al-Khalil Governorate to protest the death of Arafat in the Israeli jails. The clashes started in the morning hours of Sunday in the area of ​​Beit Ainun close to house of martyr Jaradat, as well as other areas in the center and the north of al-Khalil. According to eyewitnesses; the Palestinian youths threw stones and empty bottles and set fire to tires while the occupation soldiers fired live and rubber-coated bullets and tear gas grenades at the young people. In Gaza, thousands of citizens took part in a mass rally called for by Hamas movement in north of the Strip in condemnation of the assassination of martyr Arafat Jaradat by the occupation. Marches were launched from mosques in the northern Gaza Strip, on Sunday evening. All the demonstrators gathered and headed to the house of the isolated prisoner Dirar Abu Sisi, chanting slogans condemning the crimes of the occupation and calling on the resistance fighters to capture Israeli soldiers in order to be able to release Palestinian prisoners through exchange deals. Sheikh Mohammed Abu Askar said, in a speech he delivered on behalf of Hamas, that his movement and its military wing, Al-Qassam Brigades, will not abandon their responsibilities towards the prisoners, and are working to liberate them. He also condemned the world's silence regarding the Israeli crimes, and demanded the international community to exert pressure on the occupation to release the prisoners, especially the hunger strikers. Hundreds of Palestinian women have also participated on Sunday in a mass rally in solidarity with Palestinian hunger striking prisoners and in protest at the policy of administrative detention. The march which was called for by Wissal network, under the Association of Culture and Free Thought, was launched from the Unknown Soldier Square in Gaza, and headed to the Office of the High Commissioner for Human Rights. The participants in the march raised Palestinian flags, photos of hunger striking prisoners and banners denouncing the Israeli crimes against them. A delegation of the marchers, headed by Director of the Culture and Free Thought Association Mariam Zakut, handed a protest note to the Office of the High Commissioner for Human Rights in Gaza in which they expressed their protest at the poor conditions of Palestinian prisoners in Israeli jails, and demanded the international institutions to protect the prisoners. The protestors held a rally outside the Office of the High Commissioner for Human Rights where speeches were delivered in which speakers stressed on their solidarity with the issue of prisoners. Zakut pointed to the difficult conditions of prisoners in general, and hunger strikers in particular, and called on all concerned authorities and humanitarian institutions to immediately intervene in order to protect the captives before it is too late. Hebrew media revealed on Sunday that the Israeli Prime Minister, Benjamin Netanyahu, has sent a letter to the Palestinian Authority Chairman Mahmoud Abbas, demanding him to "take the necessary measures to calm the situation in the West Bank." The demonstrations that have broken out in the past two days in different parts of the occupied West Bank in solidarity with the prisoners led the occupation forces to take precautionary measures in anticipation of the deterioration of the situation in the West Bank. Four Palestinian prisoners; Samer al-Issawi, Ayman Sharawna, Jafar Ezzedine and Tarek Qa'adan, have been waging an open hunger strike for months in the Israeli occupation jails, in protest at their administrative detention. UFree Network to defend the rights of Palestinian prisoners strongly condemned killing the detainee Arafat Jaradat, 30, by the Israeli intelligence in Megiddo prison, because of extreme torture. 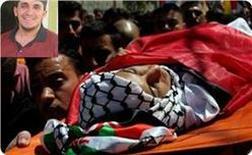 The Network demanded, in a statement on Monday, opening an international investigation to prosecute Jaradat's killers. It also held the Israel Prison Administration fully responsible for the death of Jaradat on Saturday, February 23. It said that Jaradat was subjected to systematic torture the effects of which have clearly appeared on his body, according to the autopsy report, and confirmed the falsehood of the occupation authorities' claims that Jaradat died of a cardiac arrest. UFree stressed that the rights of the Palestinian prisoners are guaranteed by all international conventions, specifically the Fourth Geneva Convention of 1949. It has also revealed that it will be acting at the international level, through European Parliament delegation visit to the prisoners and their families and will seek to put the issue of Palestinian prisoners on the agenda of UN human council which is due to meet next month. Sources from the family of the martyr Arafat Jaradat, from the town of Sa'ir northeast of al-Khalil, confirmed the presence of bruises and blood on various parts of Arafat's body, which confirms that he was killed under torture. The sources told PIC's reporter that Mohammed, Arafat's brother told the family members that there are bruises and blood on different parts of his brother's body as a result of being beaten and tortured during the interrogation, which contradicts the occupation's claim that his brother died from a heart attack. 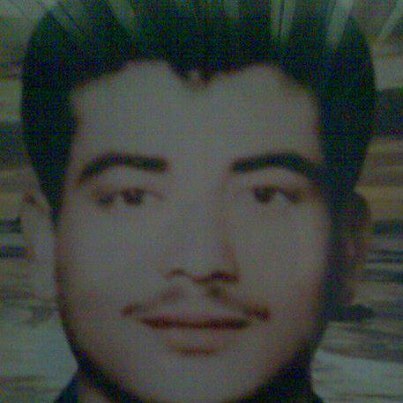 Human rights organizations and the martyr's family demanded the formation of a commission of inquiry to uncover the circumstances of the assassination of Jaradat. Hamas spokesman Sami Abu Zuhri said on Sunday during a rally at the Unknown Soldier Square in Gaza City that his movement will resort to all means to liberate all Palestinian prisoners held in Israeli jails. For his part; Dr. Atallah Abu Subbah, the Minister of prisoners' affairs, called on Fatah movement to return to the option of resistance and release the resistance fighters in the occupied West Bank in order to deter the occupation and stop its crimes against the prisoners. Abu Subbah emphasized that kidnapping Israeli soldiers is the most successful way to liberate the Palestinian prisoners from the occupation jails, pointing out that the negotiations are futile and gave nothing for the prisoners and the Palestinian cause. Mazen Fuqaha, the spokesman for the captive movement, warned of the possibility of the death of other prisoners under the international silence regarding the Israeli abuses. He called for an urgent intervention to save the lives of the hunger striking prisoners who have been suffering in the occupation jails, before it is too late. Fuqaha noted that the occupation deprives the prisoners of their basic rights, calling on the Palestinian people to launch a new uprising for the support of the captives. 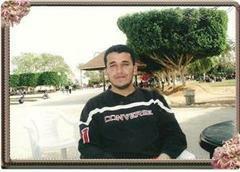 Palestinian prisoner Arafat Shailesh Jaradat, 30, died in the Israeli Megiddo prison, six days after his arrest. UFree Network to defend the rights of Palestinian prisoners strongly condemned the murder of the Palestinian prisoner Arafat Jaradat due to extreme torture during interrogation, bringing the number of Palestinian prisoners killed in Israeli jails to 207 detainees. UFree Network called on the UN human rights council, which is due to meet next month, to put the issue of Palestinian prisoners and the brutal torture against Palestinian prisoners in Israeli occupation jails on its agenda. Arafat was arrested on 18/2/2013, and was held in interrogation in Jalameh Detention Center. He is from Sa'eer, a village near al-Khalil. He is married and has two young children, a three year old and a two year old. Arafat and his wife Dalal were expecting their third child in June. He was arrested by a special unit of the Israeli occupation army, where he has been murdered by Israeli security services while he was under extreme torture in Majdo prison facility, in addition to neglecting his health deterioration and not taking him to a hospital until he died. "It’s widely known that Israel one of the top countries that constantly violates International laws. Yet, this fact did not drive an International action or pressure. Torture continued to be an integral part of the policy of this state. Meanwhile, no inspection against these prisons was carried out. There were also no reports that denounced what Israelis have been doing over the past decades," stated UFree. UFree Network confirmed that it will launch a wide international media campaign to shed light on the Israeli inhumane practices against Palestinian prisoners, calling on the UN human rights council which is due next month, to put the issue of Palestinian prisoners on the agenda. UFree denounced the international community silence towards the Israeli crimes, saying "such Israeli practiced and International community silence resulted in the death of Jaradat. It even gave Israel cover to continue its crimes against humanity." It also calls on International organizations like the Red Cross, Amnesty and others to reveal all illegal practices committed by Israel and escalate them to the United Nations and the international community and European Union bodies. Hamas movement held Israeli occupation fully responsible for the death of the Palestinian prisoner Arafat Jaradat , 30, in light of torture and deliberate medical neglect and the harsh conditions in the Israeli jails. 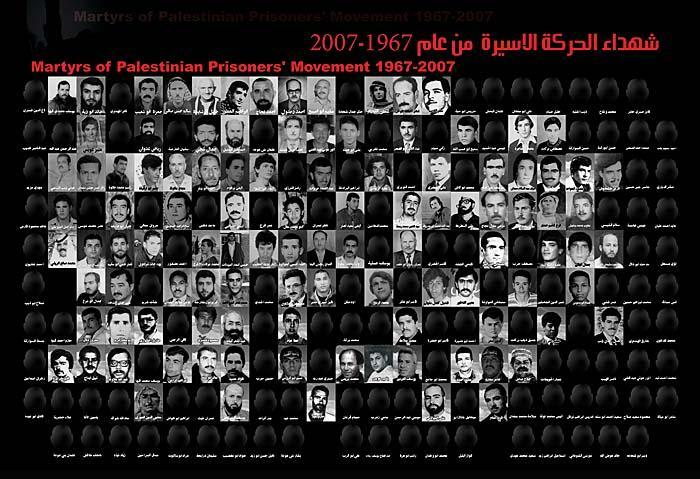 The movement confirmed that Jaradat's death reveals the seriousness of the Israeli systematic crimes against the Palestinian prisoners, and warned the occupation of the consequences of the continuation of its abuses. "We call on human rights and humanitarian organizations, the Organization of Islamic Cooperation and the Arab League to protect the Palestinian prisoners who have been daily exposed to slow death as a result of the ongoing abuses against them, and to put pressure on the occupation to immediately release them," the movement said in a statement issued by its Information office. Hamas also called for escalating the popular events in confronting the Israeli occupation crimes against the captives. Dr. Sami Abu Zuhri, Hamas spokesman, told PIC in a statement on Saturday evening that killing the prisoner Arafat Jaradat represents a dangerous escalation, and held the occupation fully responsible for the crime and for all its repercussions. Abu Zuhri called for staging more popular events against the Israeli violations, and demanded the international community to pressure the occupation to end the prisoners' suffering. The Palestinian prisoner Arafat Jaradat, from Sa'ir village in al-Khalil in the southern West Bank, died in the Israeli Megiddo prison, six days after his arrest. The Israeli radio claims that the Palestinian prisoner Jaradat died from a heart attack in the prison, while the family of the martyr affirms that he was killed as a result of torture. Jaradat's family members said that the occupation Special Forces arrested Arafat with a relative, Riad Jaradat, on charges of throwing stones at settlers' cars and transferred them to Jalama detention center. They held the Israeli prison administration fully responsible for killing their son as it did not provide him with the adequate medical treatment, after he was severely tortured during interrogation. Palestinian prisoner Arafat Jaradat was proclaimed dead in the Israeli Megiddo jail on Saturday, sources in the Palestinian prisoner’s society announced. The Israeli radio earlier said that a 30-year-old prisoner died of a heart attack in Megiddo jail without mentioning his name. Scores of Palestinian prisoners had died in Israeli captivity such as Raed Abu Hammad in 2010 or shortly after their release the latest being Ashraf Al-Masalama in early 2013. Palestinian Authority officials on Saturday demanded an international investigation into the death of a detainee who died in an Israeli jail hours earlier, with family members saying he was in good health before his arrest. A spokeswoman for Israel's Prison Authority said that the detainee, 30-year-old Arafat Jaradat, had apparently died of cardiac arrest. An emergency service team had tried to resuscitate him but failed, she said. "Our information was that Jaradat was being interrogated and then he died. Therefore we call for an international investigation into his death, that may have resulted from torture," Palestinian Authority Minister of Detainees Issa Qaraqe said. Israel's internal security service, Shin Bet, said in a statement that Jaradat began feeling ill after eating lunch, while he was resting, and that a police inquiry into the circumstances of his death had begun. "During his interrogation ... on Thursday, Jaradat was examined numerous times by a doctor. No health problems were found in these examinations and the interrogation continued," the Shin Bet said. Jaradat, according to Shin Bet, suffered from various health problems prior to his arrest, including back aches and injuries in his leg and stomach, sustained from a rubber bullet and a tear gas canister. However, family members told Ma'an that Arafat was in good health before his arrest and did not suffer from any diseases or health conditions. "Arafat was taken directly to a prison far from his residential area. He was taken to al-Jalama prison in the north instead of being taken as usual to interrogation centers close to his area of residence. He was held there for four days before he was transferred to Megido prison," his uncle Mousa Jaradat said. Arafat was the father of two children, Yara, 4, and Muhammad, who is two years old. "The whole town is sad," his uncle said. Arafat's wife, Dalal, told Ma'an that an Israeli intelligence officer brought him back to his home minutes after being arrested and told him to bid farewell to his children. "For that reason I was worried. 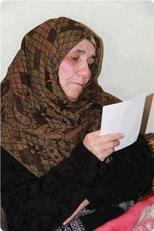 My husband was detained several times before, but this time the intelligence officer talked in a bizarre way," she said. PA ministry of detainees official Ziad Abu Ein is scheduled to meet with the family on Saturday to inform them about arrangements for delivering his body for burial. Abu Ein said that the Ministry of Detainees would request that a Palestinian doctor representing the ministry examine the body and conduct an autopsy. He called on the World Health Organization and the International Committee of the Red Cross to take part in the examination. Jaradat was arrested this week under suspicion he was involved in stone-throwing that had wounded an Israeli settler in the occupied West Bank, the Shin Bet said. There are 4,743 Palestinian prisoners in Israeli prisons and detention centers, including 178 administrative detainees, 10 women and 193 children, according to Addameer. 70 as a result of torture at the hands of Israeli Shabak and Israeli Prison Authority (IPA), 71 killed in cold blood after being arrested, 50 as a result of medical negligence by the IPA and 7 being shot dead inside prisons by the Israeli prison authorities. 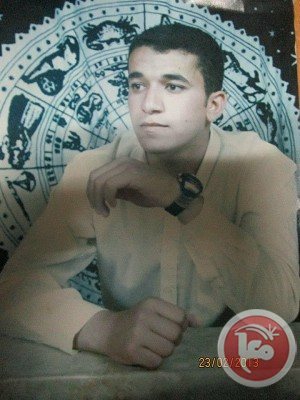 198 Ra’id Mahmoud Ahmad Abu Hammad, from Izariyyeh, Jerusalem killed on 16.04.2010 due to medical negligence. Palestinian ex-detainee from Hamas Ashraf Masalma died on Monday evening in a hospital where he had gone into a coma a few weeks after his release from an Israeli jail. His mother told the Palestinian information center (PIC) that her son Ashraf died in Augusta Victoria hospital in Jerusalem where he had stayed several weeks after he had caught a deadly virus in his lungs. 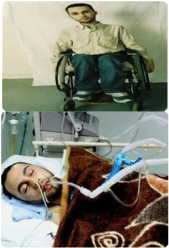 Ashraf was a disabled prisoner in Ramla prison hospital where he suffered from muscular dystrophy. He was released on November 15. The prisoner's difficult health condition is due to medical neglect, which was exercised against him and against hundreds of Palestinian prisoners in Israeli jails, where some of them died several weeks after being released such as the liberated prisoners Zuhair Lapada and Zakaria Issa. His mother held the Israeli regime and its prison authority fully responsible for the death of her son, accusing the jailers of injecting him with a virus that led to damage to his brain and lungs. For its part, the Hamas Movement mourned the death of Ashraf Masalma, 29, from Beit Awwa town of Al-Khalil, and called on the Palestinian masses to march in his funeral procession. In a press release, Hamas said the Israeli regime had detained Ashraf without any regard for his health condition and then left him suffer slowly in its jails, holding it fully responsible for his death. Hamas hailed Masalma as a strong resistance activist who defied the occupation and his medical condition, and showed admirable patience, noting that he was from a family noted for its great sacrifices. The Palestinian Prisoners Society (PPS) reported, Monday evening, that a former Palestinian political prisoner from Hebron, died at a hospital in Jerusalem after falling into a coma 50 days ago due to a serious health condition resulting from his imprisonment by Israel, and the lack of medical treated while in prison. The PPS said that Ashraf Abu Thra’, 27, from Beit Awwa village, west of the southern West Bank city of Jenin, was hospitalized at the Augusta Victoria hospital in Jerusalem where he fell into a 50-day coma until his death.